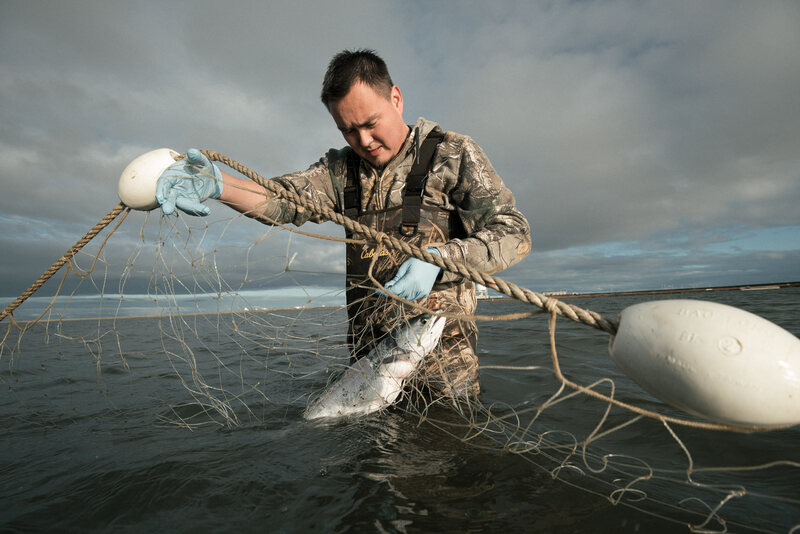 Jesse Darling pulls a salmon from his gillnet right set in the lagoon right outside of town. Older Iñupiat recall that the first major appearance of salmon was only about ten years ago. Prior to that the catch was primarily whitefish and grayling.